Your prospects and customers have questions. And it’s your job as a content marketer to answer them. That’s why you’re continuously turning out content to inform, engage, and inspire action throughout the buyer journey. But wouldn’t it be great if you could answer many of those burning questions in one convenient, easy-to-use resource? It would. And it exists. It’s an early-internet favorite that’s not super top-of-mind these days: The FAQ page. FAQ pages have been around since before search engines, but the question is: Are you making the most of this often forgotten resource? Rather than an afterthought, FAQ pages can become a robust piece of content that directly serves the interests of your prospects and customers, helping accelerate the success of your overall content marketing program. Here’s how you can make sure that your FAQ has “best answer” content that helps inform customers and prospects and move them along the buyer journey. Audiences are more self-directed than ever before in their research for solutions and answers to their questions. And of course, they often turn to search engines. But most searchers aren’t typing in broad queries these days. They’re being increasingly specific. In fact, half of all search queries today contain at least four terms and 280 million queries are phrased as questions each day. FAQ pages were born to be answer hubs. As a result, the opportunity is there for you to provide best-answer content that helps support rankings and match search intent. It’s also a fantastic cross-linking opportunity, seeding other more typical content assets. For example, precisely and concisely answering a question on an FAQ page allows you to crosslink to a more robust content resource. This not only gives your audience a better experience by providing them with a solid answer upfront, but also gives them the option to explore the topic more in-depth. Ultimately, this helps you tailor the experience and support the SEO value of other related pieces of content. Attract. Engage. Convert. Retain. Advocate. As a content marketer, it’s your job to provide your customers and prospects with content that can help them navigate each stage of the customer journey — and the last thing you or your audience wants are friction points that slow the whole process down. As customer service and experience expert Shep Hyken recently told us, convenience is what sets rockstar businesses apart from all the rest — and one pillar of convenience is reducing friction. And what’s more convenient than having the solid answers to important questions in one easy-to-use, easy-to-find location? Concerns crop up when prospects are considering new technology, services, or products. They have doubts from neutral or less-than-stellar reviews. They have questions. Hesitation. Uncertainty. But if you can’t qualm those fears and establish trust, prospects aren’t likely to convert. FAQs afford you the chance to put some of those concerns to rest by giving information away, building trust and making it easier for prospects to convert. There are your existing customers to consider, too. If customers encounter a problem with your product or service, they’re going to feel unsettled until the issue is resolved. Sure they can call you, but they might rather have a readily available resource to help them solve the issue on their own. 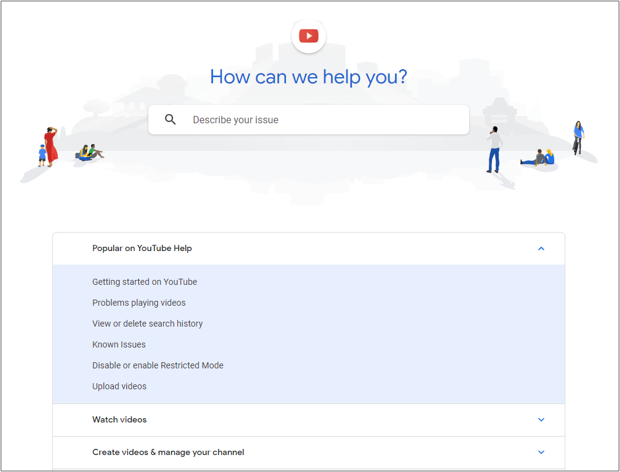 If you put some effort behind your FAQ page, you have the opportunity provide customers with fast troubleshooting, how-to tutorials, and step-by-step guides that reduce their anxiety and reignite their confidence in your company. According to Shep, the key to improving the customer experience is in creating convenience for your audience. You need to take the same approach to your FAQ page. This means making a page that is easy to scan, easy to navigate, and easy to learn from. FAQs can get long, answering every relevant question that may come to a prospect’s mind, and without organization, it can quickly get cluttered. To increase readability and avoid a page with an overwhelming amount of information, place the questions near the top of the page that are hyperlinked to the answers further down. 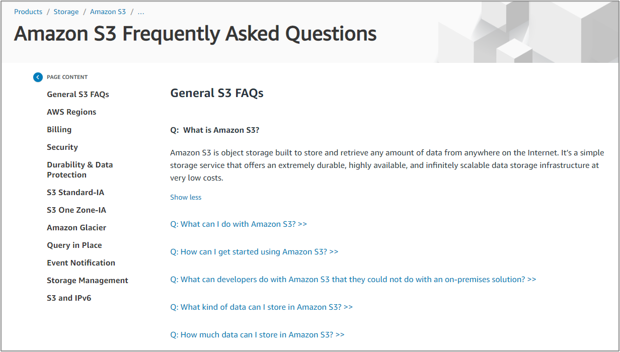 Each question and answer should also have its own link (the FAQ URL + div tag) so you can easily link to it from other content. If you have the capability, consider adding a search bar at the top of the page and batch similar questions together so users can quickly find what they’re looking for. Sometimes answers lead to more questions — one thing you don’t want your audience to feel. And in trying to thoroughly answer questions and provide every possible solution, that problem becomes exacerbated, creating a rats nest of information that’s hard to understand. To avoid this worst case scenario, your answers need to be clear, precise, and to the point. They need to be written in a way that informs prospects about your product or service instead of making it more convoluted and complicated. Avoid vague language. Provide step-by-step guides. And only answer relevant questions to prevent cluttering up your FAQ with answers your prospects don’t care about. One of the biggest benefits of an FAQ page is that it’s one of the few places your prospects go to intentionally learn more about your solution. As marketers, that’s a pretty powerful tool to wield. And when marketers use this tool to guide prospects through the buyer journey is when it’s most effective. But how can you encourage prospects to move from stage to stage? Guide prospects like you would on any other piece of content — with a CTA. Supplement your answers with links and calls to action that lead them to other pieces of the funnel. Provide your answers clearly, and link to a more in-depth resource like a video tutorial or user guide for more information. This increases the number of touchpoints on their customer journey, removing additional knowledge barriers and bringing them close to conversion. You Have All of the Answers. Share Them. From realizing they have a business problem to evaluating solutions to troubleshooting an issue, your clients and prospects have questions. And you have the answers. 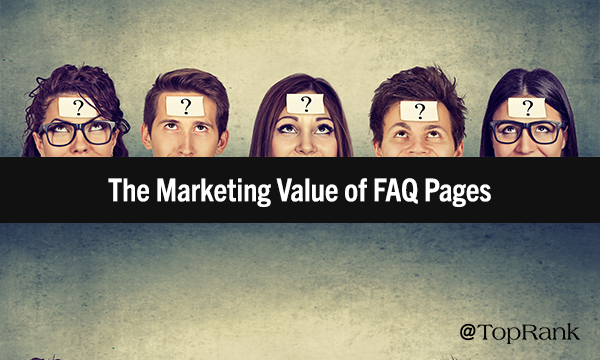 An FAQ page represents an unmissable opportunity for marketers to accelerate the buyer journey, build trust, and add SEO value. So don’t let the opportunity pass you by and take the above tips to heart. When it comes to being the best answer for your audience, you may wonder: Is short-form or long-form content better? Our own CEO, Lee Odden, walks you through the quandary.